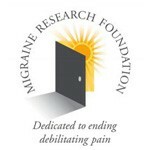 New York, NY — The Migraine Research Foundation (MRF), a non-profit devoted to funding ground-breaking research into the causes and better treatments of migraine disease, today announced the expansion of its Medical Advisory Board to accommodate the extraordinary growth in the number of proposals for which funding is sought. As MRF’s stature in the headache community continues to grow, research proposals pour in from around the world, demanding an increase in the size and expertise of its prestigious review board. MRF’s Medical Advisory Board is chaired by Joel R. Saper, MD, Director, Michigan Head Pain & Neurological Institute. The other members, all leading doctors and scientists from across the country, include: Sheena Aurora, MD, Swedish Pain and Headache Center; Rami Burstein, PhD, Harvard University; Andrew Charles, MD, David Geffen School of Medicine at UCLA; F. Michael Cutrer, MD, Mayo Clinic; Fred Freitag, DO, Baylor University Medical Center, Peter J. Goadsby, MD, PhD, University of California at San Francisco; Andrew Hershey, MD, PhD, Cincinnati Children’s Hospital Medical Center; Richard B. Lipton, MD, Albert Einstein College of Medicine; Todd Schwedt, MD, Washington University School of Medicine; Gretchen Tietjen, MD, University of Toledo; Linda Watkins, PhD, University of Colorado at Boulder; David W. Dodick, MD, Mayo Clinic (Emeritus); and Stephen D. Silbertstein, MD, Jefferson University Headache Center (Emeritus). Migraine is not just the commonly-known “bad” headache: it is a complex collection of neurological symptoms and a major public health, women’s health, and children’s health problem in the U.S. today. With 36 million Americans suffering from migraine, it is one of the world’s most disabling diseases. 14 million suffer from chronic migraine, when attacks come on a near daily basis, and 3 out of 4 sufferers are women. 10% of all school age children have migraines, with half of all sufferers stricken before the age of 12. MRF invests in research that will unlock the secrets of migraine to understand its causes, develop improved treatments that will enable sufferers to live pain-free, healthy and productive lives, and ultimately, to find the cure. For more information about the Migraine Research Foundation, the projects MRF supports, and how to contribute, go to www.migraineresearchfoundation.org or contact Jonathan Silver, Director of Development, at 212-249-5402.